Can a College Revoke My Students Admission? Search scholarships based on your ethnic background. Sorry, you have the maximum of 30 favorite scholarships saved. Please remove a favorite scholarship to add this one. Want to manage your favorite scholarships? 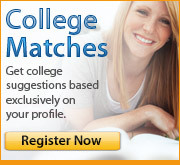 Login or join MyCollegeOptions.org today! Scholarship for Asian-American, Hispanic American, African-American, Native-American incoming graduate students enrolled full-time at the Virginia Commonwealth University Adcenter's Creative Media Planning program. Students must be U.S. citizens/permanent residents, have financial need, and demonstrate promise in media planning and/or buying. Due date and number of awards may vary. Want to access this feature? Scholarship for Asian-American, Hispanic American, African-American, Native-American graduate students enrolled full-time at an accredited designated postsecondary institution. Students must be U.S. citizens/permanent residents, have financial need, and demonstrate creative talent and promise. Due date may vary. Scholarship for African American college freshmen enrolled at the University of Illinois at Urbana-Champaign majoring in Advertising. Award amount is for full tuition. Scholarship for African American graduate students enrolled in an ALA-accredited program pursuing a degree in Library and Information Science. Applicants must be U.S. or Canadian citizens. Selection based on an essay. Due date may vary. Nonrenewable. Scholarship for African American, Hispanic, or Native American undergraduate and graduate students who are pursuing postsecondary education to study the field of Planning. Applicant must be a United States citizen and have demonstrated financial need. Candidate must intend to work as practicing planners in the public sector. Selection is based on commitment to planning, academic achievement and/or improvement during previous two years, letters of recommendation, and professional presentation. Number of awards varies. Scholarship for African American, Hispanic, or Native American graduate students who are pursuing postsecondary education to study the field of Planning. Applicant must be a United States citizen and have demonstrated financial need. Candidate must intend to work as practicing planners in the public sector. Selection is based on commitment to planning, academic achievement and/or improvement during previous two years, letters of recommendation, and professional presentation. Number of awards varies. Annual Fellowships for African American graduate students enrolled full-time at an accredited law school in the US. Students must be National Bar Association members, be U.S. citizens/permanent residents, have completed a minimum of two consecutive years of full-time law school, demonstrate a commitment to equality and justice for Afrian Americans through work in law school, neighborhoods, and community, and plan to return to a Black community to practice law. Selection is based on financial need and commitment to African American issues. Number of awards may vary. Scholarship for African American juniors, seniors or graduate students attending or planning to attend Medical School. Applicants must have a minimum 3.0 GPA and financial need. Preference is given to students attending UNCF member colleges or universities. Number of awards may vary. Scholarship for African American, Mexican American, Native American, Alaska Native, Native Hawaiian and mainland Puerto Rican students permanently residing in the US who are third- or fourth-year students at an AAMC or AOA-accredited Medical School in California. Students must be U.S. citizens, and demonstrate a commitment to practice in California, an interest in community-based primary care, leadership skills, and financial need. Number of awards may vary. A most recent copy of the 1040, 1040A, or 1040EZ tax forms must be included with application packet. Annual award for African-American student, in good standing, of the University of Phoenix. Student must be a legal resident of the United States, Canada, or Puerto Rico at the time of application. Student must be 23 years old or older, be working 30 hours/week, have demonstrated financial need, and have a minimum C+ (2.33) grade point average. Scholarship for freshman, sophomore, or junior undergraduate students enrolled in a four-year accredited college or university majoring in Engineering, Accounting, Finance, Information Systems, Marketing, Pharmacy, Computer Science/MIS, Chemistry, Operations Management, Information Technology, or Computer Engineering. Applicants must have a minimum 3.0 GPA, financial need and non-collegiate leadership experience. Students must file the FAFSA. Deadlines and award amounts may vary. Scholarship for sophomore and junior undergraduate students enrolled in a UNCF member college or university majoring in Accounting. Applicants must have a minimum 3.0 GPA and financial need. Students must file the FAFSA. Due date, number of awards may vary. Scholarship for Minnesota residents who are undergraduate students enrolled in a UNCF member college or university. Applicants must have a minimum 2.5 GPA and financial need. Students must file the FAFSA. Deadlines and award amounts may vary. Scholarship for Columbus, Georgia residents who are undergraduate students attending a UNCF member college or university or Albany State College, Fort Valley State College or Savanah State College. Applicants must have a minimum 2.5 GPA and financial need. Students must submit the FAFSA. Deadlines and award amounts may vary. Scholarship for undergraduate students enrolled in Wilberforce University. Applicants must have a minimum 2.5 GPA and unmet financial need. Deadlines and award amounts may vary. Scholarship for undergraduate students attending a UNCF member college or university. Applicants must have a minimum 2.5 GPA and financial need. Deadlines and award amounts may vary. Scholarship for residents of Kentucky, Georgia, Florida, Alabama, South Carolina, Louisiana, Mississippi, North Carolina and the five boroughs of New York City who are undergraduate students attending a UNCF member college or university. Applicants must have a minimum 2.5 GPA and financial need. Deadlines and award amounts may vary. Scholarship for Boston, Massachusetts residents who are undergraduate students enrolled in a UNCF member college or university. Applicants must have a minimum 2.5 GPA and financial need. Students must file the FAFSA. Deadlines and award amounts may vary. Scholarship for undergraduate students attending a UNCF Member College or University. Applicants must have a minimum 3.0 GPA and financial need. Deadlines and award amounts may vary. Scholarship for residents of the five boroughs of New York City who are undergraduate students enrolled in a UNCF college or university. Applicants must have a minimum 2.5 GPA and financial need. Students must file the FAFSA. Deadlines and award amounts may vary. Scholarship for undergraduate students enrolled in specific UNCF member colleges or universities majoring in Engineering or Business. Applicants must have a minimum 2.5 GPA and financial need. Students must file the FAFSA. Due date may vary. Scholarship for sophomore undergraduate students attending a UNCF Member College or University majoring in Communications, Journalism, or TV Production. Applicants must have a minimum 3.5 GPA and financial need. Due date and number of awards may vary. Scholarship for African American undergraduate students attending Howard University. Applicants must have financial need, and be in good academic standing. Preference is given to middle income families with two or more college students enrolled. Deadlines and award amounts may vary. Scholarship for undergraduate students who have attended Chicago Public Schools who are enrolled in a UNCF member college or university. Applicants must have a minimum 2.5 GPA and financial need. Students must file the FAFSA. Deadlines and award amounts may vary. Renewable. Scholarship for undergraduate students enrolled in a UNCF member college or university. Applicants must have a minimum 2.5 GPA and financial need. Students must file the FAFSA. Due date may vary. Register now or login above to access full benefits and get matched with the best scholarships.